You have a bundle of NC that is just staring at you, waiting for you to spend it on something you'll never use. How much stuff is sitting in your SDB that you bought from the NC to never be used? This can easily be avoided with some thought, research, and decision making. Do you really want that super sparkly dress that is totally adorbs when all of your pets are either Maraquan, baby, or an oddly painted Chia? Are you obligated to buy that Mystery Capsule when you actually have no idea what's inside of it? This guide will help you narrow down your decisions and hopefully save you some NC along the way. Obviously, the first thing you should look at before buying an item is its cost. How much NC do you have total? How big of a percentage would you be losing if you bought this item? Is this item something you KNOW you'll use? Is it worth how much it costs to you? These are the questions you should be asking yourself before hitting that "buy" button. Some items you like may be cute and cool, but if you can buy two items for the cost of that one item, it is up to you as to whether you want to buy that item or not. Look through all the items before determining what you buy so you don't see something later on that you like but can't afford because you bought that now-seemingly-ugly item. A lot of NC items involve luck. 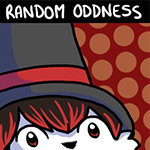 That fortune cookie, Shenanigifts usage thing, or Mystery Capsules are not guaranteed to get that item you want. You may want to do some research to ensure the possibility of not getting the item you want won't be a total waste of NC because you like the other item possibilities, as well. Take into consideration the odds of you getting the item you want, and if you're willing to take that chance. I know from personal experience that you may think the odds of getting that cute umbrella or that awesome background is high, but the odds may not always be in your favor. Games are also considered luck, and you should be aware of what items can be won in each game or how you can win the item(s) you want. If you wish to buy more than one of the same NC item in order to get the item you wish for, you may want to only buy one at a time so you're not wasting NC. Before buying a game item or a luck item, know how to use it and where to use it. If it is a game item, research how to play the game before buying it to ensure you are truly willing to spend NC on a "x-amount of uses" game. Read the fine print before purchasing a food item, because it may only be wearable or may only be edible, perhaps the opposite of what you thought it was! There are also FAQs available for every questionable item, so it would be extremely wise to check those out before your purchase. Gift boxes are also a periodical problem in the NC Mall. You can get gift boxes by either buying a NC Card in a store or buying a Gift Box Mystery Capsule. There is also the rare occasion of getting one as a free item in the NC Mall. Don't get these confused with Gift WRAP, not the gift box itself. Bundles of items are also available in the NC Mall. One of my pets is wearing a bundle that costs 700 NC total. Make sure that the bundle is what you're willing to spend and not too much for you, or if you see other things you like, decide which you like more. Rarity and availability is also a factor. Can you buy this item in the future, or is it limited edition? If you're getting NC in the future, it may be wise to buy the limited edition item now before it is gone. Some items are sold in specific amounts per day, so that should be taken into consideration as well. 4. Can Your Pet Wear It? 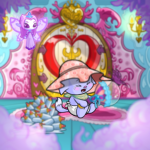 Your lovely baby neopet can't wear the same things as other pets can. Pets that can't wear the same items as others include fruit/veggie Chias, babies, mutants, and unconverted pets. However, there are periodically things available for your unique pet, so make sure you read into that Maraquan item before buying it to make sure your pet can wear it rather than just actually being Maraquan. If you search the word "baby", you'll be able to see the items your baby pet can wear. There are also mystery capsules and fortune cookies available. That hat may look so vogue in that picture, but once you put it on your Ruki, it may not be as attractive as you hoped. It's your personal opinion when previewing an item on your neopet. The preview is there for a reason, so use it up! Know what slot this item is in if you wish to keep a specific item on your pet as well. There is no limit to how many times you can use the preview. While buying and spending NC is a boatload of fun, knowing limits, like in the real world, can be a challenge. Treat NC like you would real currency: valuable. Make sure not to stock up on too many of the same item, for example, a NB Pen (I have that problem), for you may be overwhelmed and obligated to use all of them when in reality you don't need them. If needed, you may want to come into the NC Mall knowing exactly what kind of item you wish to buy to avoid going overboard. Hopefully this guide has saved you NC, and with a little bit of thought, you'll never have those NC items sitting in your SDB ever again! Happy shopping! Is that a Defenders of Neopia comic?